Tumblr: All Thanks To Mum? You couldn’t have missed the news that social networking site Tumblr was sold to Yahoo for $1.1 billion. A new 26 year old techie genius joins the growing club of under 30s millionaires and deservedly so. I was pondering though… would it have happened if his mum was more conservative? 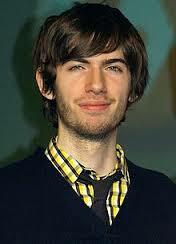 David Karp (Tumblr creator and CEO) dropped out of school aged 14 at the advice of his mother, a teacher in a different school to her son’s and recommended home schooling. She observed that her son was so engrossed in and obsessed with his computer that it was something to encourage and give space to. What an amazing and brave mother! Can you imagine that happening in your house?? The Philpott case sends shivers up us all. 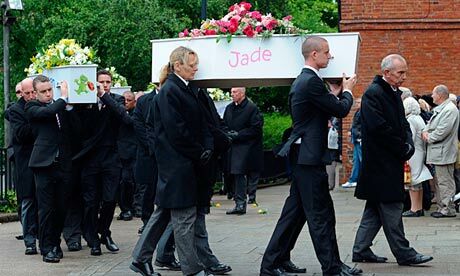 There were several programmes on yesterday that went over the case (the couple and their friend having been found guilty of manslaughter) and I was moved to tears watching one of them. I guess it was worse because I was with my baby nephew and we were curled up on the sofa together. You’ll know the case facts but at the risk of going all Daily Mail, how on earth were 11 children allowed to live in a 3 bedroom house? It’s a normal part of growing up but for the parents of children that have imaginary friends it can be quite creepy and even verge on frightening. I had heard about the jitters mother’s face when their first born starts primary school and how it is more emotional for them than for the child. I didn’t believe this for one moment, until it happened to me. I was left feeling rejected, dejected and alone as my daughter happily skipped into her class exited to meet her new classmates. I hovered around waiting for her to come running back into my arms and make a great big scene about how she wants to stay at home, but she didn’t. Has anti-smacking laws created a lawless society? David Lammy MP certainly think so. In fact, in an article for the Guardian, he goes as far as to say that the riots last August are a result of working class parents not being able to physically discipline their children and doing so would prevent them from joining gangs and entering into knife crime. How would you feel if you received a text to tell you talk to your child? Patronised, insulted or helped and supported? The summer before your child goes to university comes the realisation that life is going to change forever. Recently, I have encountered a number of mothers coming to terms with their first born leaving home. They are filled with fear, vulnerability, sadness and loneliness. Strangely, it is like they are preparing to grieve. 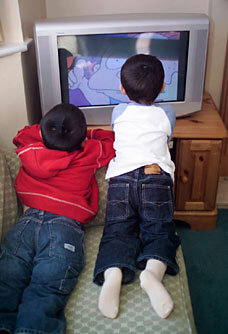 BBC London had a phone in today discussing whether our children are lazy. This was supported by research suggesting that one in six children cannot swim and one in ten cannot ride a bike. The study found British children were more than twice as likely to spend their free time watching television (79 per cent) than playing sport (34 per cent). The study apparently surveyed 1500 children. This surely cannot be representative of British children to make such a brash statement that our children are lazy. My youngest of two girls started her settling in week at nursery last week and WOW! I don’t remember this anxiety and fear when my eldest daughter went to nursery. My daughter does not speak her mother tongue and we often get criticised for this to the extent that people are telling us how to bring up our children and question our parenting.